Hebei Xianglan (NBL) landed 28-year old Serbian power forward Dejan Musli (213-102kg-91). He is the second foreign player in the roster as USA Brandon Robinson signed here earlier. 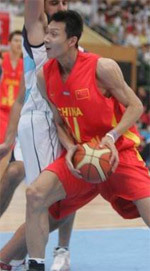 Musli played most recently at Tianjin Gold Lions (CBA). 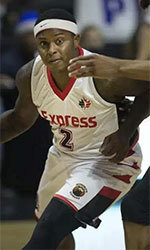 NBL will be definitely a better match and he can see more playing time. The last season Musli played at Brose Baskets (BBL) in German league where in 19 games he averaged 7.9ppg and 4.1rpg (#3 in the league). Musli helped them to make it to the semifinals. He also played 15 games in Euroleague where he had 10.4ppg, 6.1rpg and 1.4apg. It was a very successful season in his career as he was selected to Eurobasket.com All-Euroleague Honorable Mention. The other team Musli played that season for was Unicaja Malaga in Spanish league. In 9 Euroleague games he recorded 5.4ppg and 2.7rpg. He can count that season as a very successful as was selected to Eurobasket.com All-Euroleague Honorable Mention. Musli also represented Serbia at the Qualifications to European Championships 2013 seven years ago. His stats at that event were 4 games: 5.8ppg, 4.5rpg, 1.0bpg.